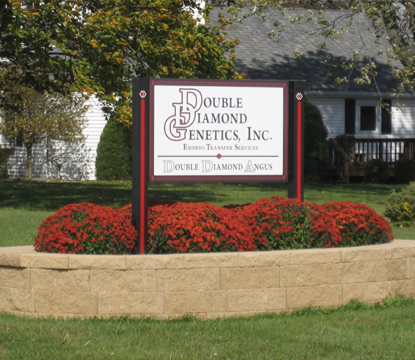 Double Diamond Genetics, Inc. (DDG) is dedicated to supplying embryo transfer services and herd health to the cattle industry. Located in East Central Illinois, DDG offers embryo transfer donor cow management in a grazing/pasture environment and on the farm embryo transfer services. We have serviced clients from across the nation and provide a majority of our work in Illinois and Indiana. Established in October, 1991 by Scott Anderson, D.V.M. and wife Cindy, DDG brings over 20 years of embryo transfer experience to the industry. After graduating from Colorado State University, Dr. Anderson trained under the supervision of Dr. Kirk Gray while working for Granada Genetics. While leasing the facility from Brost Angus Farm, the initial business was located in Oxford, Indiana. In April of 1992, the present location on 80 acres in Chrisman, Illinois was purchased and set up for business. The past 20 years of business have seen over 8,000 collections and 25,000 transfers provided to our clients. DDG can house up to 45 donors In-Clinic and has access to various recipient pools. 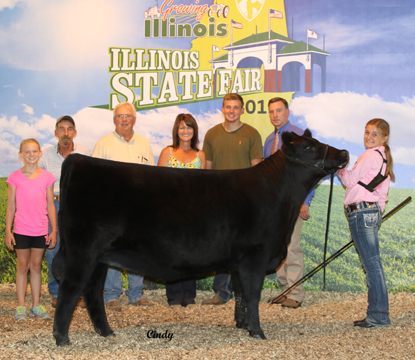 In addition to our embryo tansfer services, we have been actively involved in developing a reputable Angus herd in the state of Illinois under the name of Double Diamond Angus (DDA). 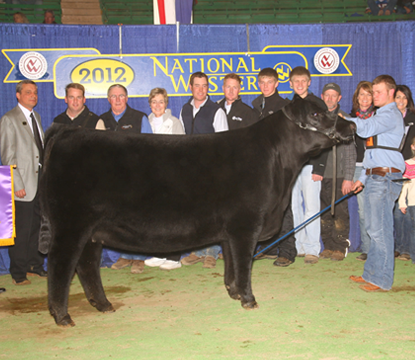 We have strived to produce an elite herd of cows that perform in the pasture as well as in the show ring. 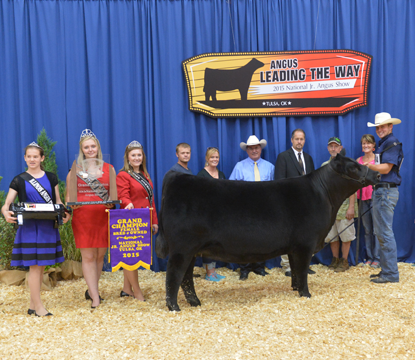 start a new foundation family from the 2011 National Junior Angus Show Grand Champion Owned Female, and 2012 National Western Stock Show Grand Champion Female....Dameron Northern Miss 0109. Thank you for taking the time to visit our website and learn more about our program. We invite you to visit our facility and any questions regarding embryo transfer or our Angus herd.